With the colder months almost here I'm feeling giddy at the thought of snuggling up in warm jumpers and eating loads of hot comfort food, and what better way to start off the day than with an indulgent leisurely breakfast. In Newcastle we are spoilt for choice when it comes to locations for breakfast and brunch and if you love the idea of eating perfectly prepared eggs over the morning paper then you have come to the right place as today I'm sharing with you the 10 best breakfasts in Newcastle. Now that Naked Deli has opened in Gosforth my life is complete and Simon and I are happily working our way through the entire breakfast menu (we knew we were going too much when the staff started to recognise us!) If you want your indulgent brunch to be guilt free then Naked Deli is the best place to head. Their clean eating menu is packed full of dishes and they taste so good you'd never believe you were eating healthy. We love to go after parkrun on a Saturday and Simon insists that the Cacao Sweet Tooth smoothie tastes just as good as a chocolate milkshake. We were lucky enough to enjoy a breakfast at Jesmond Dene House many moons ago when we treated ourselves to an overnight stay. We loved starting our morning off in style with our leisurely breakfast served in the Garden Room and I remember we were so obsessed with the delicious tiny pots of jam that we spent the next few days desperately hunting down the brand so we could buy some for home. I had always thought breakfast at Jesmond Dene House was only available to residents but did you know that anyone can book a table for their luxurious breakfast? With the choice of a full continental or a cooked breakfast (with champagne if you're feeling extra fancy!) - breakfast never tasted so good! Quay Ingredient ruled the roost as the number one café in Newcastle on Tripadvisor for a long time and after a taste of their famous eggs benedict it's easy to see why. Their breakfasts are perfect and they use plenty of local produce including the highly sought Craster kippers. Tucked away underneath the Tyne Bridge, Quay Ingredient is so cosy, the only downside being the place is so teeny it can be near impossible to get a table, especially on busy weekends. 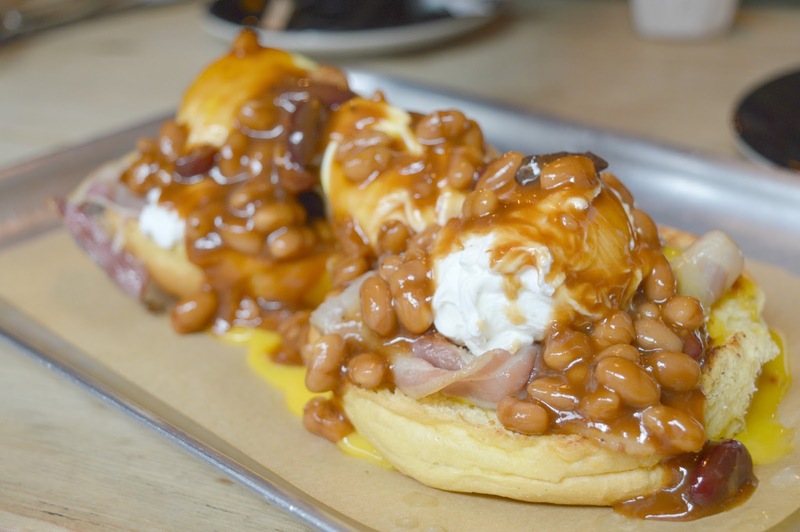 Their newly opened sister restaurant, Heaton Ingredient is a lot larger if you fancy some of those eggs without the stress of finding a table. 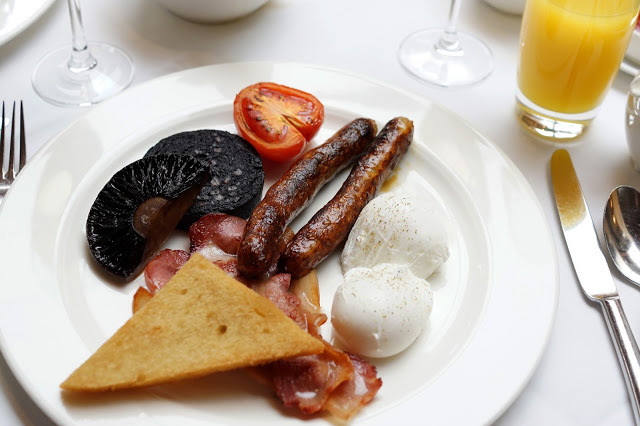 You can't talk about the best breakfasts in Newcastle without mentioning Cafe Royal. I love breakfast at Café Royal and for some reason tend to always lean more towards the pastry and porridge dishes whenever I go. They're my absolute favourite and sometimes I can't help but order multiple courses. Simon is a fan of the waffles and I've spent many a moment obsessively staring at his breakfast as he pours his syrup over it in slow motion, I swear he does it on purpose! Another place so popular that there's usually a queue for a table, the Butterfly Cabinet has the most epic breakfast menu in Newcastle. No matter what your favourite breakfast dish is the chances are it'll appear on the extensive menu and it's taking us a good long time to work through everything. Muffins, pancakes, eggs, Full English - it's pretty much breakfast heaven. My favourite? The eggy bread smothered in a greedy amount of syrup. Arlo is one of the most popular eateries in Jesmond and its breakfast certainly draws the crowds. 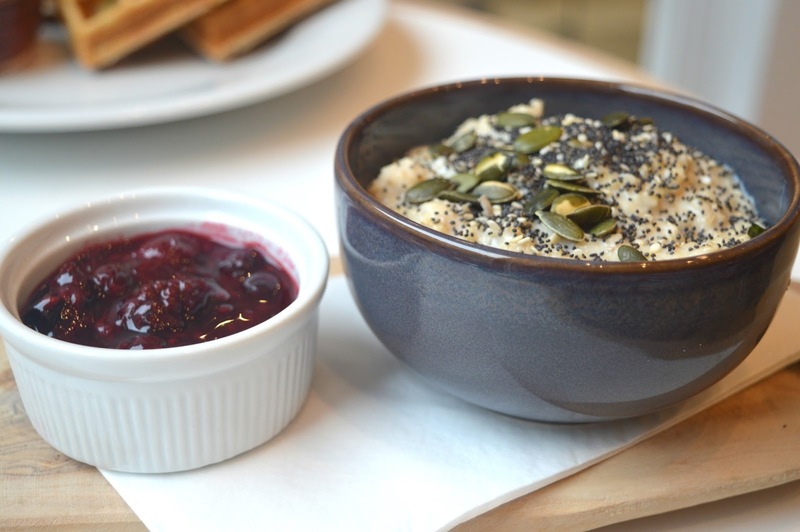 If you can manage to resist the counter of cakes (in my eyes you can definitely enjoy cake for a breakfast at the weekend) then take a look at their brunch menu which serves up everything from toasted teacakes to crushed avocado on Toast. 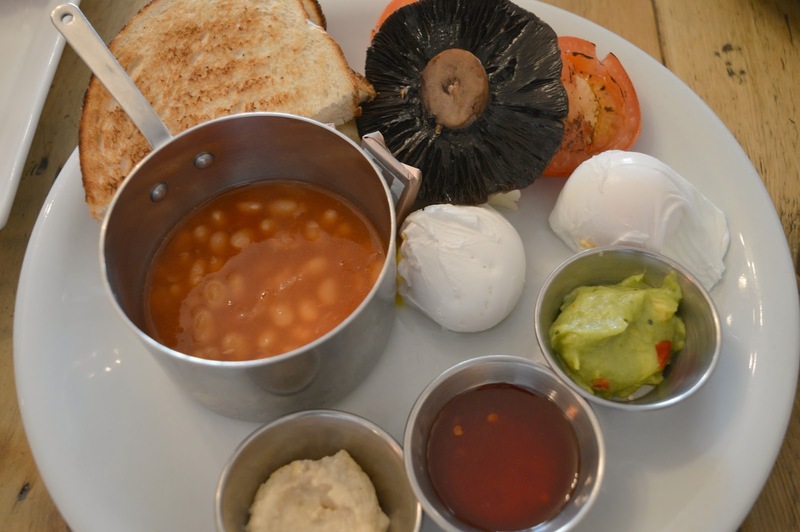 On my last visit I went veggie and ordered the Cooked Veggie Breakfast which came with some amazing dipping sides - you've not lived until you've dipped your toast in hummus, guacamole and sweet chilli sauce. The Tyneside Bar Cafe tends to be our "go to" breakfast in the city centre and the Weekend Brunch Menu always makes me want to settle in for the day. With plenty of meats, a good range of eggy delights, sweet treats and the all important baked goods (which you must smother in jam!) I always want to revisit so I can tick more off my menu wish list. Long Play Cafe is somewhere that I find myself recommending to people time and time again. Their breakfast menu is fantastic and if you can manage to bag yourself a seat in the popular café you are in for a treat. The perfect spot to chill out with friends over some tunes, it's another place where you need to move fast to get yourself a seat. It's worth the dash though as the food is so good and I love anywhere that gives me a huge bowl of butter for a few slices of toast! As an added bonus its location on the Newcastle Quayside means you have somewhere beautiful to walk off those extra calories. We take tea drinking so seriously in Newcastle that the Quilliam Brothers Teahouse is open from morning to night offering shoppers, students and tourists a full selection of tea and a wonderful menu of food. I love enjoying breakfast there especially as so much of the menu arrives served on a Stottie. Definitely the best breakfast in Newcastle for the hungry shopper, nothing prepares you for the High Street quite like one of their beautiful egg dishes. It took us a while to get around to trying the breakfast at Longhorns, it sat on my "to do" list for such a long time which I now regret as since trying their Pit Bean Benedict I haven't looked back. I would happily cover every meal that I have in pit beans, they are so good! The breakfast menu is perfect for the meat lovers and the Blueberry Moonshine (pancakes or waffles served with blueberry moonshine compote) has my name written all over it. There are so many great places for breakfast in Newcastle that my little guide barely scratches the surface, I haven't even mentioned Ernest, Harvest Canteen or Garden Kitchen! Anyone thinking I need to do a Part 2? Let me know how you like to start your mornings, and where you think serves the best breakfasts in Newcastle. Well this has made me very hungry! I've tried a few of these but need to try some others. 'Y favourite breakfast in Newcastle is Violets Cafe. Although I'm sure it helped that Kenny Atkinson cooked our breakfasts the morning we were there. It irks me that so many of the plates and cups are chipped st Butterfly Cabinet. I still haven't been to Long Play Cafe so that's next on my hit list. The best place I've been for Bacon sandwiches in Newcastle is the Cyclehub out near Byker. My fav meal to go out for ... just had breakfast at The Wild Trapeze on Heaton Road this morning, lovely place & also loving Violets on the Quayside for their buttermilk waffles.